"There are things we can do, but from the things that work there are only two. And from the two that we choose to do, peace will win, and fear will lose." That last line is especially important, because lately I have been swallowed up by fear. I regularly struggle with worry, that's nothing new, but in the past week, my anxiety has grown into a gentle terror. This has something to do with the fear of the unknown (I got a second job as the News Editor of my college's student newspaper and I am reallllllly nervous), but possibly also my lack of peace and trust in the Lord. It's odd; I know in my head that everything is going to be alright, but not knowing what will happen, or even how it will happen, can send me into a bout of fear. I was thinking about that this morning while listening to this song from Paramore's Riot! album ("I try to patch things up again, to calm my tears and kill these fears"). "For you did not receive a spirit that makes you a slave again to fear, but you received the Spirit of sonship. And by Him we cry, 'Abba, Father.'" Ok, God, I get it. I don't need to have any fear. I know I'm far from finished learning this lesson, but it's nice to know regardless that I have a God who wants me to allow Him to give me His power and peace. + What about you? How do you handle fears and worries? Do you have a favorite song that addresses anxiety? And what is your favorite breakfast food? beautiful post. 10/10 do agree. YAAAAS THANK YOU FOR THIS. 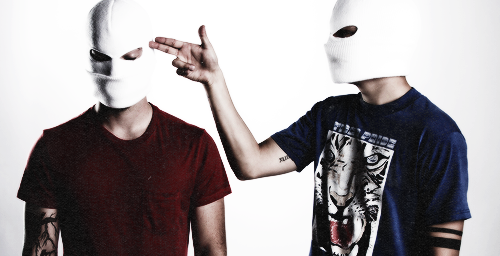 <3 Well first... um... TWENTY ONE PILOTS. *flails* Car Radio is one of my favorites by them it's just so loaded and deep. That line you quoted in particular tho = mindblowwwwn. Their lyrics are so applicable. It's actually pretty amazing to isolate the lyrics without the music and just read...idk, it's just poetry. Mmm, I know what you mean. Once I fall into that hole, it's like an endless "Woe is me" cycle. But I love the way you wrote that - "Knowing that He is real and cannot be threatened." He truly can't. Isn't it the bomb?! It makes me smile!! Have you ever hard Walk on the Water by Britt Nicole? My favorite breakfast food is waffles. Though I'm off of gluten and dairy, so the waffles I have eaten recently just aren't quite the same. I have not! I need to go look it up! I'VE BEEN GOING THROUGH THE SAME THING!!!!!! I'm moving out (kinda) and have so many ministry and academic opportunities this semester, which excited me! But it also scares me, because it is something I cannot do alone. I realized, though, that this fear may not signal that we chose the wrong path but that we chose the right path. We shouldn't stay in this fear, but we should let it be a signal to us that God's got this. Man, didn't expect to write a blog post in this comment (but I already have one about fear in the schedule). I just want to encourage you like you encouraged me!!! Really?! I'm so glad I'm not the only one! Congrats on moving out! And on all the cool opportunities. It IS exciting. It's like the beginning of a great and unknown adventure! "I realized, though, that this fear may not signal that we chose the wrong path but that we chose the right path." WOW! That is so powerful!! If we can't handle it, only God can. And our circumstances are to draw us closer -- and to make us more brave. Thank you so much! Never apologize for long comments - I love them. :) And you truly did encourage me. Can't wait to read your post! Thanks again!! "It's odd; I know in my head that everything is going to be alright, but not knowing what will happen, or even how it will happen, can send me into a bout of fear." THIS. THIS IS ME. I'm so fearful, and lately it seems to only be getting worse. Working on trusting that God's got this. I definitely understand that kind of fear. I deal with it every time I have to make a big decision or I'm faced with changes. I've started gathering an encouraging playlist of songs I empathize with to keep me focused on my goal. Some of the songs include "Go the Distance" from Disney's Hercules and "Gravity" from Wolf's Rain.